Of course, real-time communications and video technology are brilliant day-to-day tools for quick meetings and fast information/knowledge exchange, but when it comes to learning, it can be easy to forget that most of our professional and personal development happens when we engage with people in the flesh. Chances are you are in high demand across your organisation and, if you are anything like your IT brethren, chronically short of time. A lot of the time, the last thing that’s on your mind will be leaving the office and running the risk of that marathon project that’s been rolled out over the last few months going pear-shaped. I hear you. A webinar between dinner and bedtime to advance your knowledge and skills, or some late night reading on your smartphone to keep on top of the latest goings-on at Google, Gartner & Co. may seem like a good idea then. And they sure offer a good quick fix. However, I believe that you’d be misguided to think that webinar conferencing and networking on LinkedIn are today’s most compelling ways to experience thought leadership or to exchange ideas with tech experts, industry leaders and like-minded peers. On LinkedIn, stalking people’s profiles is regularly taken for ‘networking’ when, really, such attempts easily come across as creepy, especially when trying to add someone to your network that you have never met in real life. E-learning through webinars and online sessions, then again, can often be a solitary exercise. Don’t get me wrong, both have their merits, but neither gets you out of that worn-out office chair (or out of bed for that matter) nor do they give you the same buzz that you could get out of meeting a number of industry experts in person. That’s why honest-to-goodness conferences quite simply remain one of the most personal, engaging and often entertaining ways to network, to learn about complex topics, to explore trends and to discuss industry issues. Our Convergence Summit at Twickenham Stadium this November has proven just that, perhaps because it is quite the opposite of virtual living, and pleasantly reassuring to see that all those industry rock stars are live people! We featured a series of cracking C-level speakers from Innovation Consultant, Mark Brill and Microsoft’s UC strategist, Robert-Jan Gerrits to Mitel Cloud CTO, Jörgen Björkner and the double act that were Avaya’s MD, Simon Culmer and Ioan MacRae, all of whom certainly educated but also excited during their presentations and delegate conversations. Where else do you get to know as many inspiring, senior figures as fast and as well as at a well curated conference? Now, networking with the experts is certainly a big reason why it’s worth attending a conference. Equally, though, you will hear a lot about new methodologies in your industry, new equipment and solutions, unpublished data, the latest research findings…in short, a lot of valuable input that will help you to stay on top of your game and make informed decisions for your organisation. Last but not least, it encourages you to learn beyond your own field and bounce ideas off of each other with colleagues from different industries that a) you may not have encountered in your habitual business environment, b) could offer a fresh perspective on your professional or organisational challenges. A productive, re-energizing day out of the office? There is a lot to be said for that. 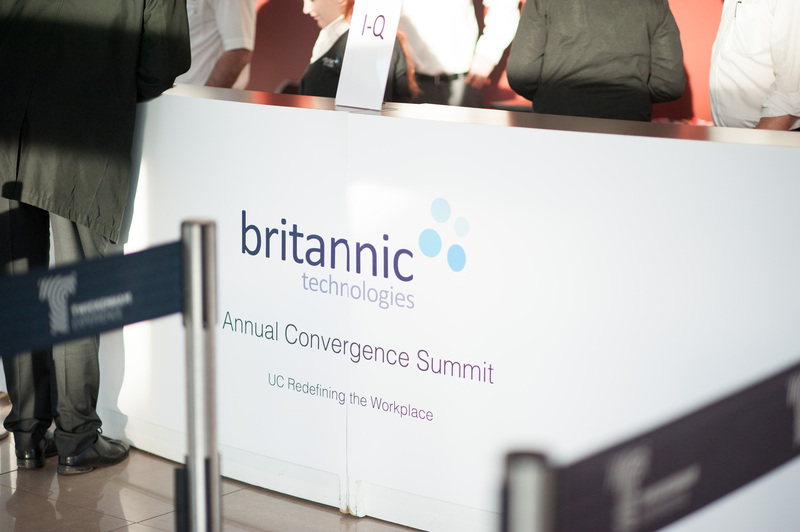 Gathering to share knowledge, pick each other’s brains, develop ideas and pass on practical advice face-to-face is one of the reasons why we at Britannic invite you to come along to our annual, free ICT convention, Convergence Summit. It’s just the hub for exploring the latest developments in the comms technology world. And your newly won connections, well, you can add them on LinkedIn. With confidence. If you haven’t reaped the benefits of a conference for a while and are looking to get up to speed with the latest in communications technology, put a marker in your diary for our next Convergence Summit in November 2016. 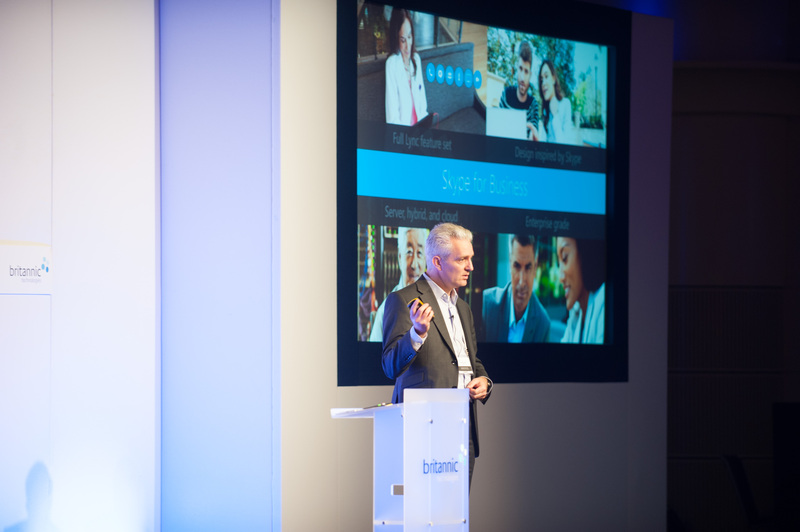 The strategy presentations from this year’s Summit on the topic of Unified Communications are becoming available on Britannic’s YouTube channel over the next few days, so you can catch up on some of the insights from the 2015 conference. Keep an eye out!